first things first.. you can’t tell me my mom isn’t a good photographer. proof is in these pictures. also this is my “about to take out the trash” hairstyle. back to the proper subject..
as most of you may know, i read a lot and am always mixing it up with what i read - i love scary books and non-fiction history stuff, but for the last month or so i have been reading any kind of personal development book i can get my hands on.. you know, just trying to squeeze out all of the good tips before new year’s and all of the resolutions start :) ha. i’ve narrowed my favorites list down to three books that i believe are most impactful for those of you who have made a resolution (or few) and want to stick to them. each is quite different from the next, and i believe they are all great as stand-alone picks, but together they cover enough ground that whether you are trying to change your habits, be more intentional, or just live in the moment, there’s advice in each to help you out! the most predictable, but for a reason. I first read this book yearssss ago and I have gone back to it a few times since (usually when June and December roll around). Gretchen Rubin is totally Type-A and goes about her project systemically, which may be a little too much for people who are more spontaneous or scatterbrained, but the way she assigns a theme to each month and then breaks each down into smaller, more attainable goals is something I’ve copied and had good results with - I definitely recommend this if you have quite a few different goals they want to accomplish. Gretchen’s personality is not for everyone, but there’s still a lot that you can pull from this book, and the research she includes throughout is really interesting. she did release a follow-up called Happier at Home , but it’s not my favorite. there’s a reason why the U.S. military is known for getting things done, and getting them done really well. 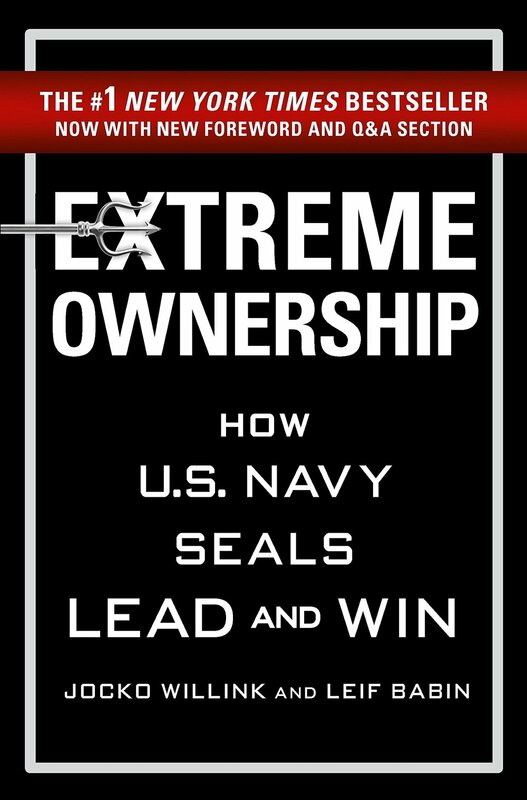 Jocko Willink and Leif Babin share some of their personal war stories (which are fascinating) to illustrate 12 of the key principles they contribute to their success in the SEALs. then they explain how businesses who have integrated the principles have gone on to win, too, which is great for anyone wanting to up-level their professional lives this coming up year. if you have ever had trouble sticking with your resolutions, this book is for you. Willink and Babin know discipline inside and out, which means they know that there’s a different way for everyone to practice it (just like how people learn differently). not only will you be inspired to follow through with your goals, but you’ll feel eager to reach your highest potential, exceed expectations, and help others do the same, too. if you know anything about me, you know i am all about experiences and trying to squeeze something special out of the ordinary or find the fun in just about anything. one resolution that i don’t hear too much but try to incorporate every year is to have a memorable year. this book is all about that - it touches on how to identify and create significance in your life, whether it’s in your work life or your personal relationships. throughout the year, resolutions tend to fall off because we revert back to our routines - maybe because it’s what comfortable, or because it requires less effort. this book helps to reinforce why it’s so important to stay intentional and create meaning in our life -because although we revert to routine more often than not, what we ultimately remember is one time we took a detour home to stop for ice cream rather than the 350 times we took the standard route home. and a bonus for all of the over-achievers (or those who want year-long inspiration..
Jocko Podcast - yes, he’s the author of the second book on my list. his podcast is just as interesting, and covers a wide variety of topics (not just business or military stuff), too. Style Your Mind - for those of you who want to elevate their life, this is the podcast for you. but just a heads up, Cara specifically caters to a female audience! How I Built This - such a classic, but I love how even though it’s technically a business podcast, every episode seems to include some life advice without fail.